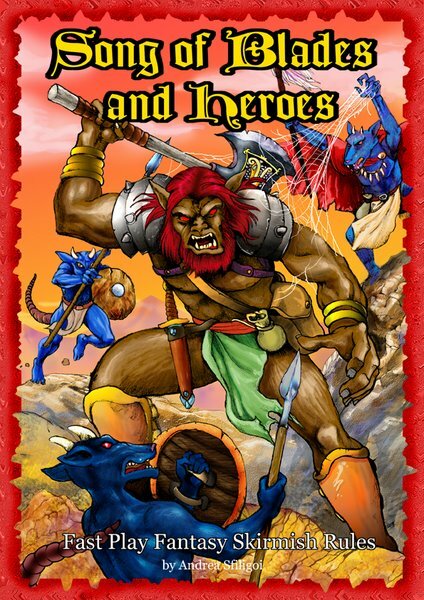 Beginning today (Feb. 20th), PDFs of Song of Blades and Heroes and Song of Gold and Darkness are on sale on Wargaming Online site, Mongoose's e-store. This should bring further exposure to the rules (already on sale on key20.com, wargamesdownloads.com, arima.it and lulu.com/songofblades, and as emailware by the author). On another note, "Mutants and Death Ray Guns" post holocaust science fantasy rules are in advanced playtest and should see the light of the day at the end of March. Soon after the core rules, Ganesha will produce "Assault on Neo Tokyo" , a sourcebook for MDRGs based on Kremlin Miniatures' 15mm sci-fantasy miniature line.